Rep. Christopher Collins (R-NY), one of the first members of Congress to support President Trump, was arrested on Wednesday morning for "charges tied to securities fraud," NBC News reports. The details: Collins surrendered himself to the FBI earlier on Wednesday. He's being charged along with his son, Cameron Collins, and his son's fiancée's father, Stephen Zarsky. The case is related to Australian biotech company Innate Immunotherapeutics Limited, of which the congressman was on the Board of Directors, the indictment states. Collins is expected to appear in federal court in New York later on Wednesday, NBC reports. 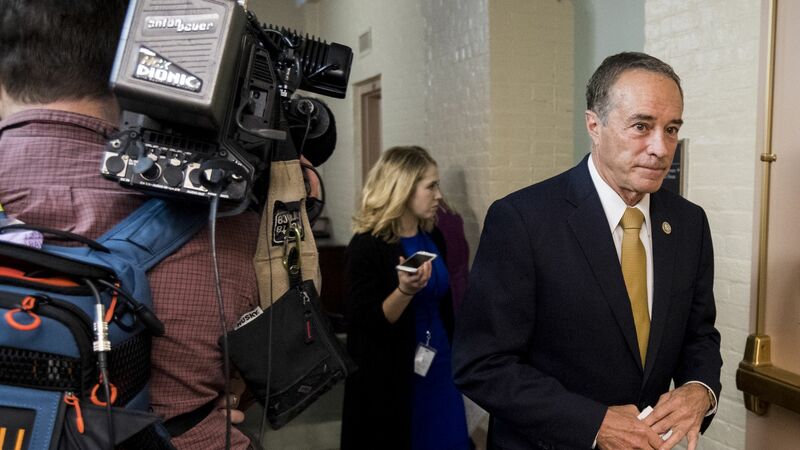 The congressman's attorneys said in a statement, per NBC: "We will answer the charges filed against Congressman Collins in Court and will mount a vigorous defense to clear his good name. ... We are confident he will be completely vindicated and exonerated." Speaker Paul Ryan announced that Collins would be removed from the House Energy and Commerce Committee until the matter is settled and face an investigation from the House Ethics Committee. Christopher Collins: 7 counts of securities fraud, conspiracy to commit wire fraud, wire fraud, and making false statements. Cameron Collins: 7 counts of securities fraud, conspiracy to commit wire fraud, wire fraud, and making false statements. Stephen Zarksy: 4 counts of securities fraud, conspiracy to commit wire fraud, wire fraud, and making false statements.